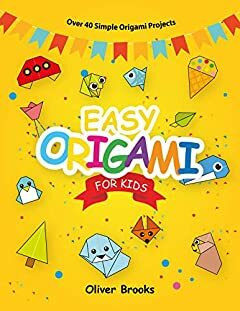 In this book, you will find more than 40 simple origami projects for beginners which are perfectly illustrated and colored. Simple instructions will help your child and you quickly start creating fantastic origami. The book presents easy and clear schemes: from hat to funny animals. From the book, you will learn how to make cute animals such as dog, cat, fox, mouse, and piggy from colored paper. You will also find fascinating schemes of fish, birds, cars, the moon, an envelope, ice-cream, magic hats, and many other things. The projects gradually become more complicated allowing you to create more and more exciting things.